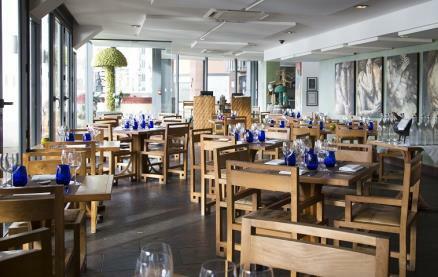 High Timber is one of London's best City dining on the north bank of the Thames offering summertime south facing sun-drenched terrace and warm winter cellar dining with terrific river views, and views of The Globe, Tate Modern and Shard, wonderful cellars and a walk-in cheese room. Three things have come together to create High Timber; London's most experienced South African restaurateur, Stellenbosch's most awarded wine estate and one of London's most prominent up and coming chefs. Synergy between soul and soil as Gary and Kathy's Jordan Wine Estate's philosophy is carried through the service and food at High Timber. Owner operated by Neleen. Its founders are Gary & Kathy Jordan of the Jordan Wine Estate in South Africa, winners of some of the world's most prestigious wine awards, and their partner Neleen Strauss, one of London's most successful restaurant managers. The food is everything you would expect from a modern, ethical restaurant. 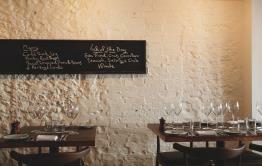 Honest cooking, great flavours and Chef Frans de Wet's distinctive South African touch. 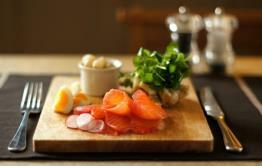 English red meat lead the way; the menu also features locally sourced fish and top quality vegetarian produce. This is complemented by an extensive high quality wine cellar, headlined by South Africa's leading estates, and Europe's old masters. There are also two private dining rooms: An exclusive Cellar Table is situated inside the red wine cellar, and seats 10 people. Surrounded by fine wines from all over the world and completely private, this is an ideal table for celebrations, business deals or for those that just want to be alone. And a Private Dining room seating 18 people, situated between the red wine and white wine cellars, suitable for cocktail functions for up to 35 people. Be the first to write a review and share your experience at High Timber with other diners.